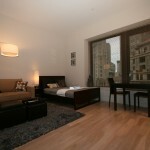 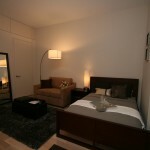 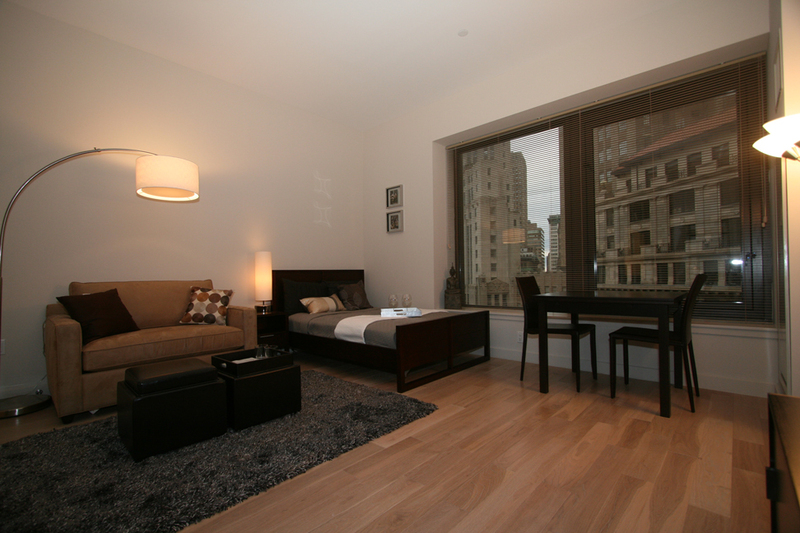 A studio unit in downtown financial district. 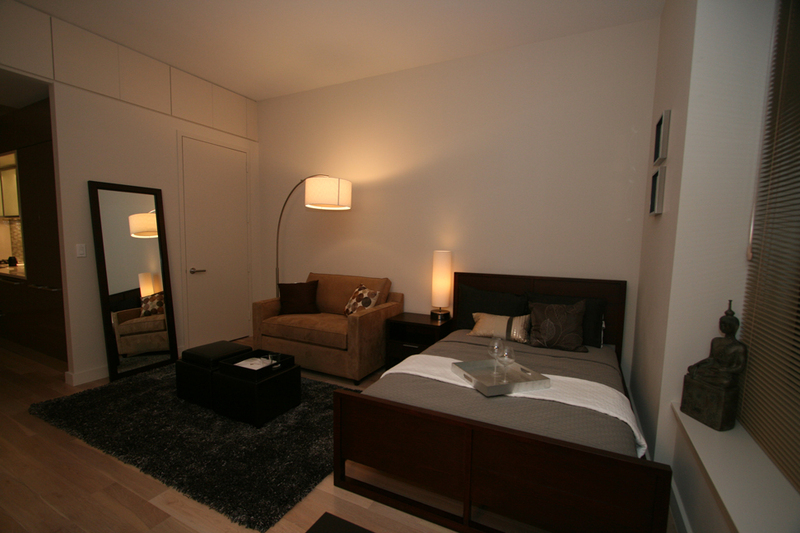 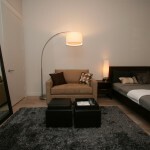 The space feels large with the right sized furniture and accents in this studio apartment. 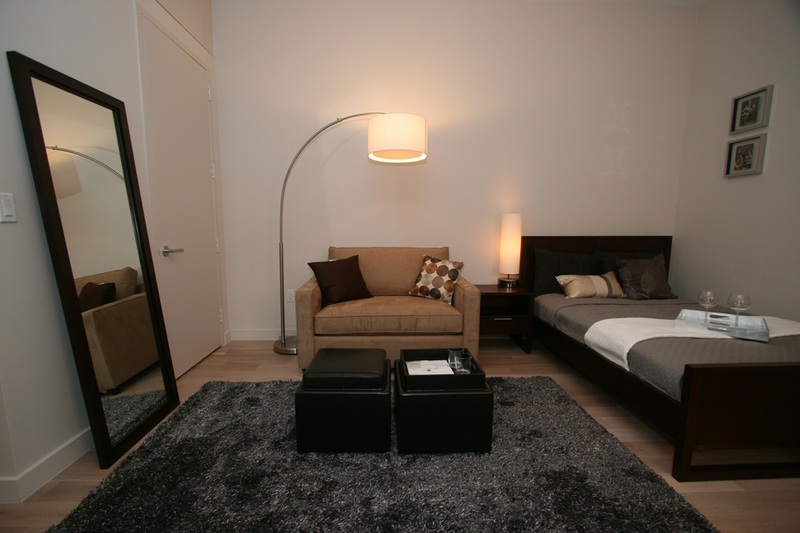 The dining table is expandable and the living room foot rests can additionally act as seating for those extra guests.